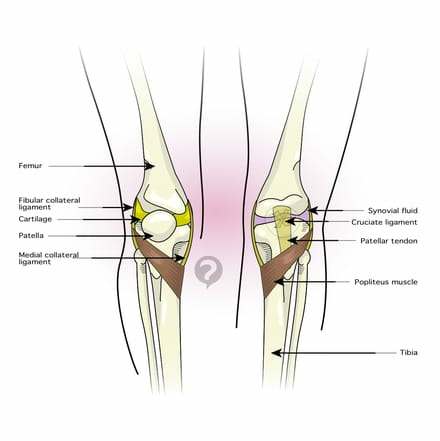 The term joint signifies the place where two or more bones meet. Not all joints are mobile, and when the bones are fused it is called synarthrosis. 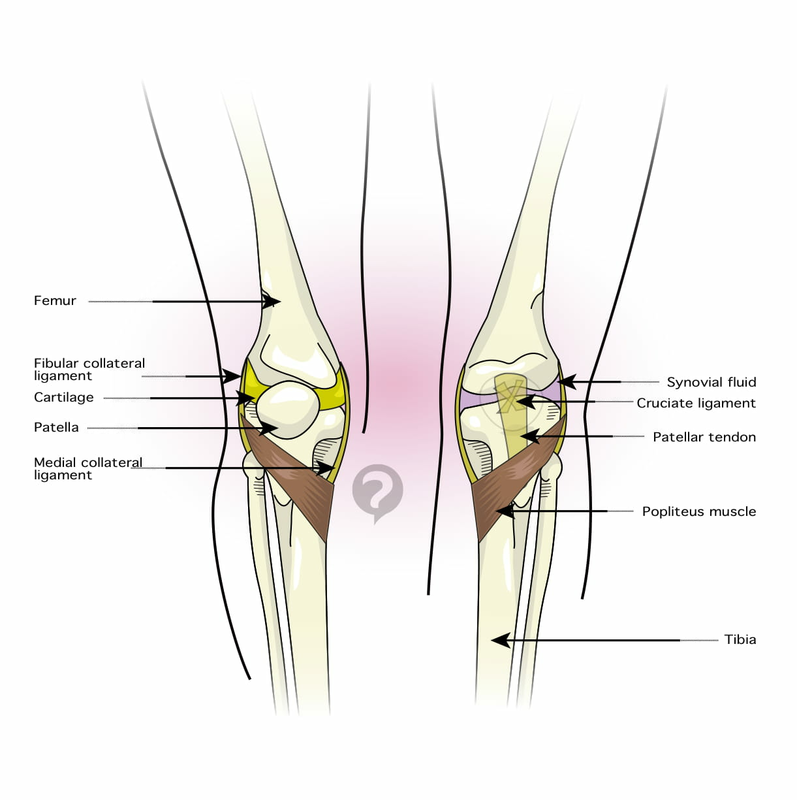 Many different elements make up a joint, notably cartilage which covers the mobile joints, ligaments which connect the bones together, and synovial fluid which lubricates the joint, facilitating movement. The best known joints are the mobile ones, such as the hip, knee, and ankle joints of the lower limbs, and the shoulder, elbow, and wrist joints of the upper limbs, as well as the joints between each vertebra of the spinal column. Joints can be affected by chronic inflammation, such as with rheumatoid polyarthritis or ankylosing spondylitis, infections which are qualified as arthritis, but also degenerating disorders related to cartilage aging, which is called osteoarthritis. The joints can be investigated using a tiny camera, a minimally invasive procedure known as arthroscopy. Original article published by Jean-François Pillou. Translated by Jean-François Pillou. Latest update on August 19, 2014 at 12:22 PM by christelle.b. This document, titled "Joint - Definition," is available under the Creative Commons license. Any copy, reuse, or modification of the content should be sufficiently credited to CCM Health (health.ccm.net).